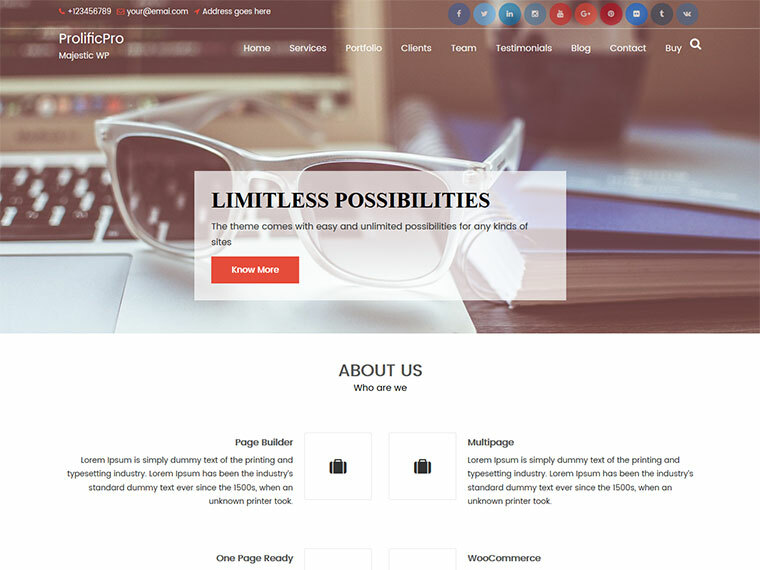 ProlificPro multipurpose WordPress theme is an amalgamation of modern design and solid technology. 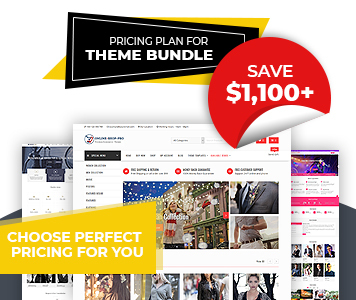 This multi-purpose theme offers one page menu, different sidebar layouts, and page builder compatible, WooCommerce compatible, child theme ready, SEO friendly, video post options, added custom widget and many more. In addition this theme have advertisement widget, unique blog design, slider height options, front page content options, related post and navigation options etc. This is multipurpose theme, you may use this product for marketing agency, hosting company, advertising agency and digital agency pages as well. Its page builder compatible design allows you to easily develop splendid inner business pages. You can take full advantage of its powerful admin panel and modify the theme to suit your needs. ProlificPro is entirely responsive, and it looks amazing on any screen. It is certain that your page will work with any device. Its custom slider options and third party slider options will help to make your featured slider section unique and awesome. You can either choose some of the colors that come with the theme, or select your own eye-catching palette. Available font’s options will be the handy options to change the font family of every contents on your site. Prolific simply reflects the mix of quality codes and elegant design. This theme is just AWESOME! CTA Section with parallax background image, title, content and link button will help to featured the important things and link to the custom page.